History is filled with stories of great armies. Soldiers forged in the fire of battle have always been among the most loved stories. Many of these stories are true and many are myths. The ancient Greek took pride in their elite soldiers called Spartans; who trained hard all their lives and were believed to be braver than any other. The Romans were known for their disciplined army, with new battlefield strategies and organized movements. Ancient legends tell us the stories of gladiators; the warriors of the arena rather than the battlefield. These gladiators, a group of them representing various clans each, were known to be bonded by a brotherhood. The modern soldiers are also called brothers in arms. The country with the best army is believed to be the strongest around the globe. Any man in sovereignty would yearn to have a great and capable army at his disposal. However, such a man can only be a president or the chief of the armed forces. Based on this predicament, Loulou from Tilburg, Netherlands decided to create an army of his own. Being a computer nerd, Loulou is obsessed with technology and robotics. His other talent is his expert craftsmanship with wood. 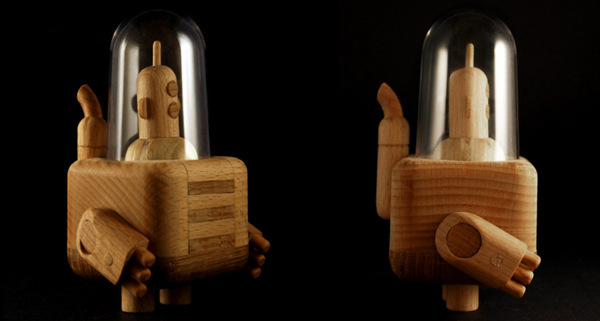 In his workshop, Loulou is creating an army of wooden robots! 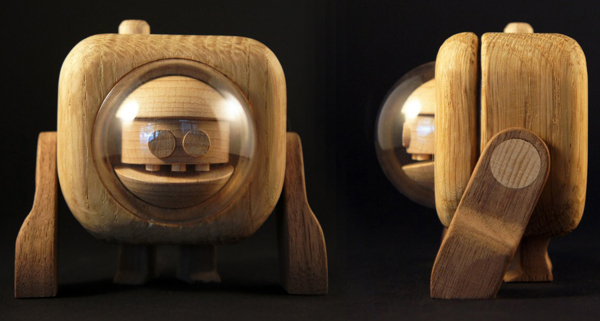 These robots vary from 5 to 15 centimeters in size. Loulou uses wood from maple, beech, zebrano, oak etc. along with some simple tools. It is hard to believe that the tools Loulou uses are fairly simple in nature; and most of them are homemade, borrowed or old and battered tools. 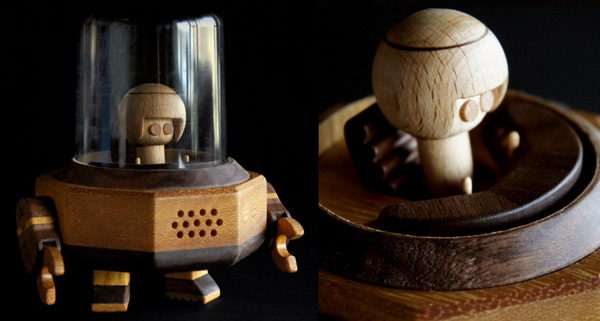 He uses table saw, table router, scroll saw and chisel etc. As for the robot he makes, they are amazing to say the least. The amount of detailing in such small wooden soldiers is commendable; considering that he makes them manually. 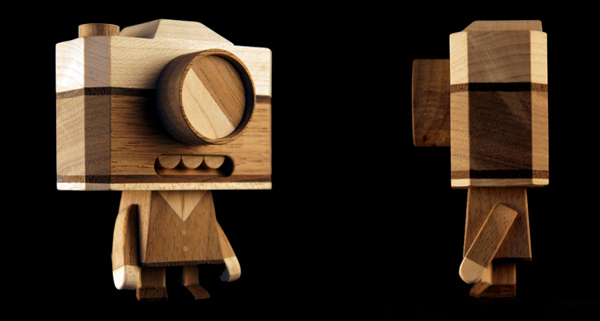 Every robot in Loulou’s army is unique looking and highly futuristic. 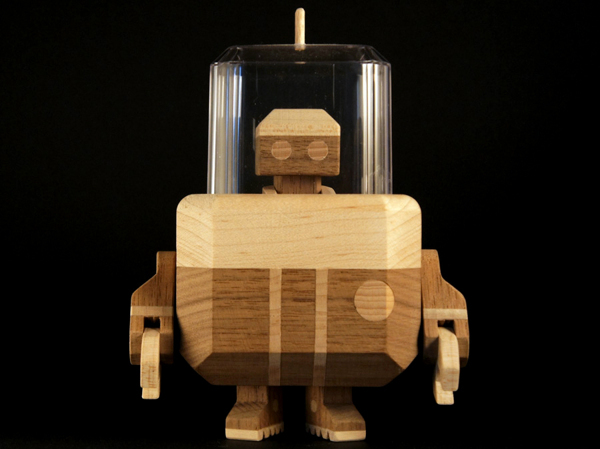 All he needs now is a magician who can breathe life into his bots; and who knows, Loulou might invade and conquer a country with his wooden army of robots!